Are you ready for the Swiss Army Knights? Do you think you're ready to be a Swiss Army Knight? This proud organization was built by and for the people who appreciate the "little red tool box" made popular by the Swiss Army. The Swiss Army Knights are made up of collectors and every day Swiss army knife enthusiasts. So. Are you ready to join? Do you think you have what it takes to be a member? Show us what you're made of. 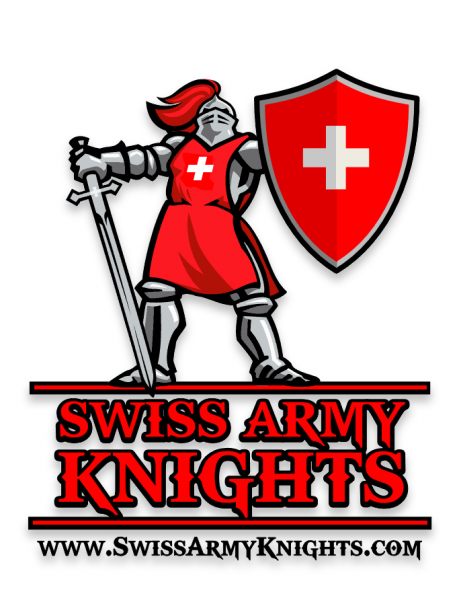 Join the Swiss Army Knights here. Do you know everything there is to know about Swiss Army Knives? Their history, models- everything? Visit the SAKWiki and contribute!